Type : 2 bedrooms / 3 bathrooms with fully furnished. Nice decorated western Kitchen / dinning room. - Huge living room / guest bedroom + bathroom + balcony. - Master bedroom + walking clothest + bathroom +balcony. Clubhouse : Swimming pool , big garden , playground / sport club / fitness / Security guards 24 hours. Location : on KrungThep Kritha Road or Middle of Rama 9 - Motorway - Srinakarin Road. - nearby Samitivej Srinakarin Hospital. - about 5 min to the mall Bangkapi / Max value, Tesco Lotus, Market place, Nine Avenue shopping, coffee shops, local market. - about 15 min to Suvarnnabhumi Airport. 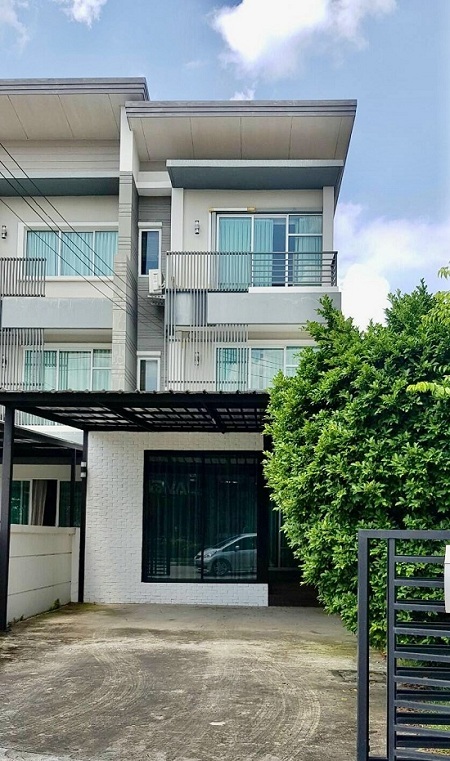 - not too far from Sukhumvit 71 (Prakanong Road) just 10 minutes. - School bus line : St. Mark, St. George, St. Andrew, Brighton inter school and Stamford University.